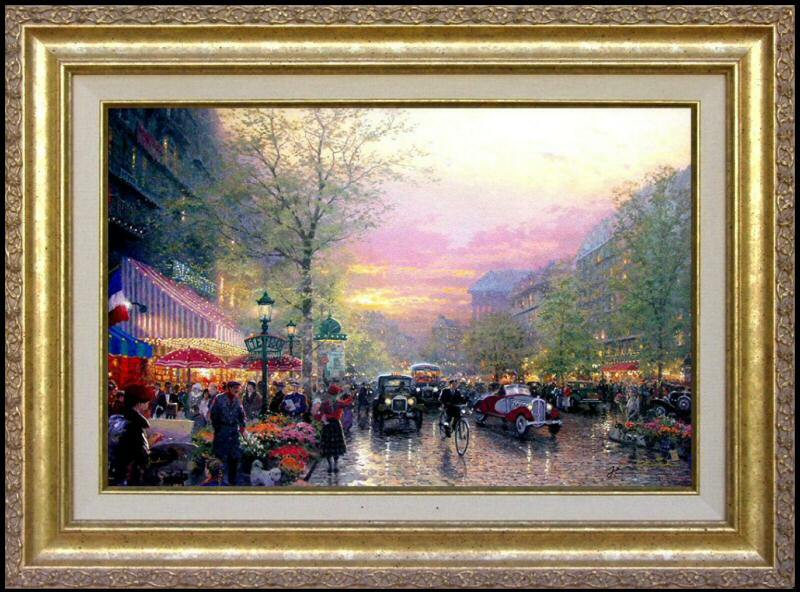 ++++ Brass Plaque with the legend "Paris, City of Lights ~~ Thomas Kinkade"
"I've long had a love affair with Paris. 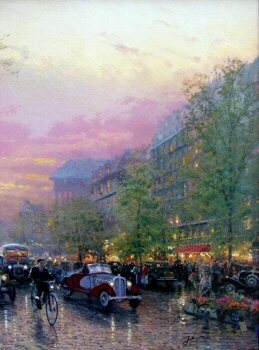 Broad boulevards, flower vendors, sidewalk cafes, and the ceaseless bustle of cars and people -- it's all part of the charm of one of the world's most cosmopolitan cities. 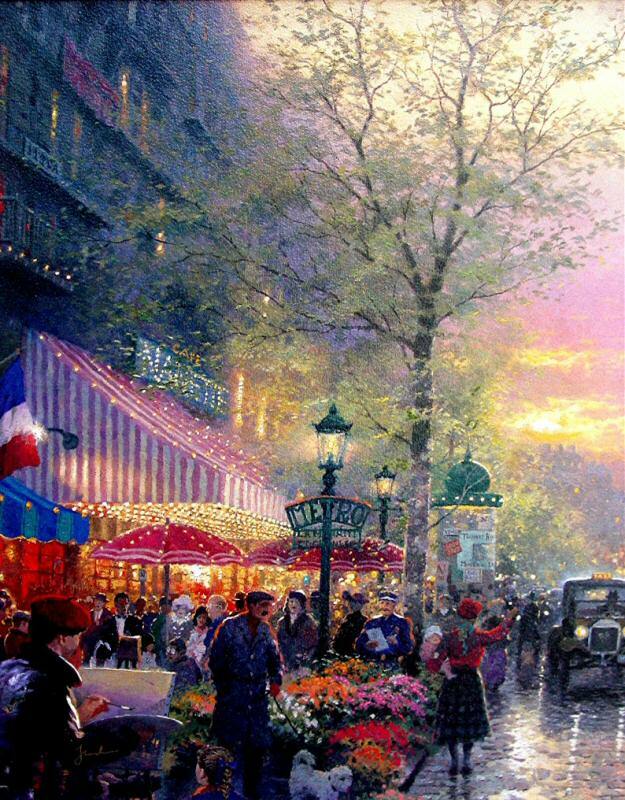 My "Paris, City of Lights" could be titled "The Kinkade Family in Paris." 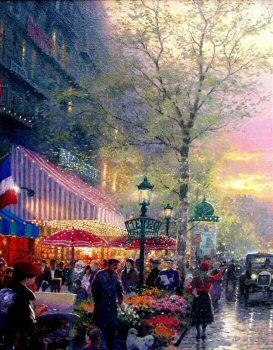 I've set the time machine back a few decades and included myself (in the red beret), painting the fabulous Cafe Nanette. The real Nanette, holding baby Chandler, hails a cab while our oldest daughter Merritt, looks on. I've even signed the tiny canvas on the street artist's easel -- to my knowledge the smallest Kinkade signature on record! 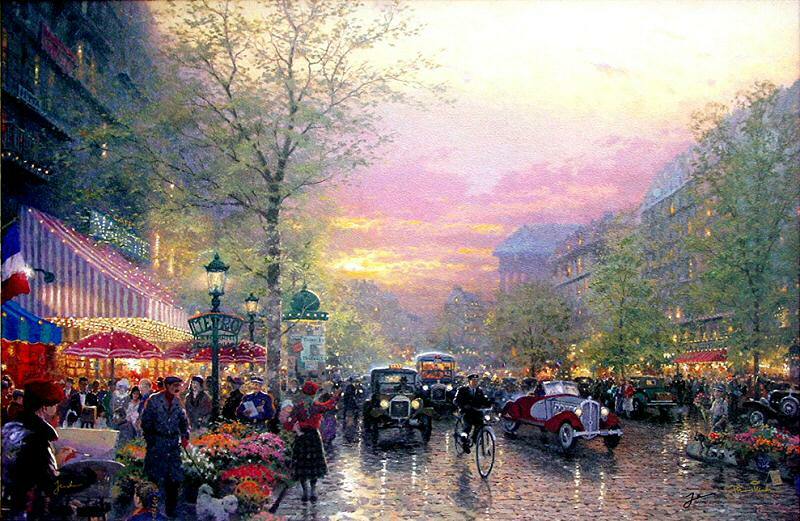 And in true Kinkade tradition, fifteen hidden "N's" grace the painting as a tribute to my Parisian belle, Nanette."